We manufacture and export a wide range of Patch Work Cushion Covers that is available in variety of colors and sizes. 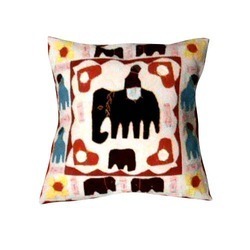 These patch work cushion cover add to the elegance and charm of any decor of the room. The exquisite patch work on these covers exhibits the ethnicity of Indian culture and is highly appreciated by our clients. 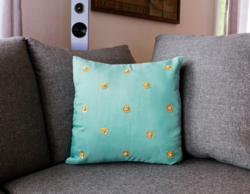 The simplest way to add a pop of colour to any space is with a wonderful cushion cover. These beautiful covers can also be used as accent pieces on tables. Made from vintage sari fabric patachworked onto cotton. These stunning cushion covers were personally made in Jaipur to ensure the best quality available. We offer an exciting collection of Patchwork Cushion Covers that reflects the aesthetic taste of our customers and the creative ability of our designers. It adds a striking appeal as well as warmth to the surrounding, enhancing the appearance of the interiors. Size: 40 x 40 , 50 x 50 , 60 x 60 cms.